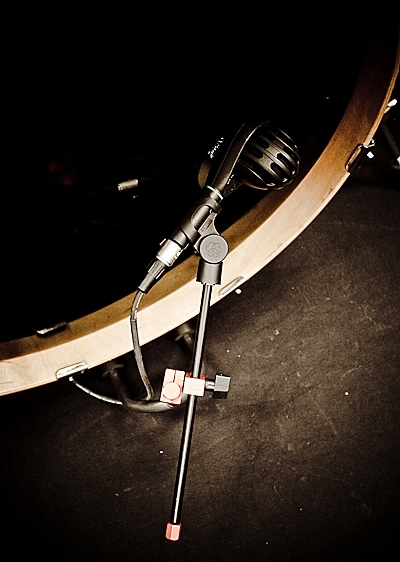 Live on stage or in the studio the Wishbone is a dream for sound engineers, stage technicians and guitarists - mic’ing up the kick drum couldn’t be quicker or easier. 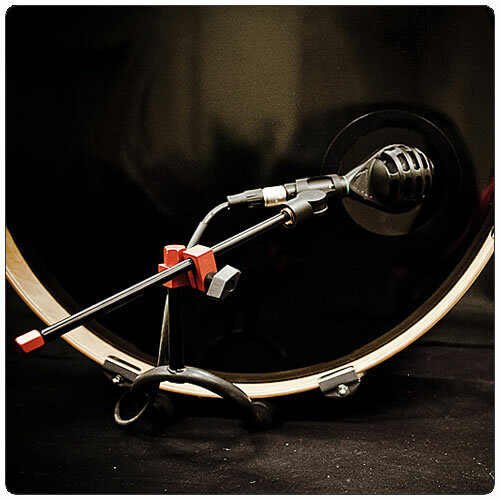 The Kickbone has been specifically designed to provide precision mic placement for your kick drum regardless of its size. It mounts easily and securely under the kick drum in seconds. Professionally made in the USA from aircraft grade aluminium, Wishbone is strong, lightweight - less than 350gm, very durable and extremely portable, neatly breaking down to fold away and almost disappear into the smallest of gear bags, taking up far less room and weight than conventional heavier stands. The mic boom arm is 10 inches long (25cm) and adjust with just one turn of a knob. 2 foam adaptors are included for adaptibility. Do we need to say " The kickdrum, mic and mic holder are most definitely NOT included in the price"?